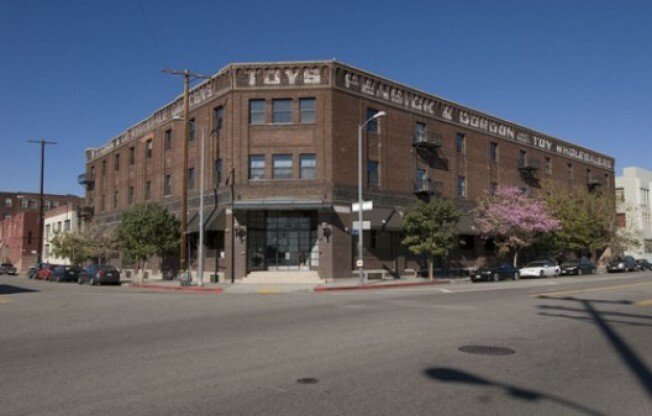 First, local businessman Charlie Woo decided he wanted to get into the condo game by converting his famous MegaToys warehouse into a MegaToys mixed-used project to take advantage of the area's growing residential scene and the forthcoming Gold Line stop. So is it any surprise realtors are pimping out the stop, too? Via the listing for this 1,712 square foot loft in the 1907 Toy Lofts building at 3rd Street and Santa Fe: "This beautifully rustic but sophisticated loft comes with two deeded, secure parking spaces and additional storage...[It is] across the street from the Southern California Institute of Architecture (SCI-Arc) and walking distance to Little Tokyo, museums, art galleries, restaurants (Zip Fusion, Cafe Metropol, and R-23 among others). A few blocks away, the Gold Line extension, opening later in 2009, will provide a stop at 1st and Alameda." It's listed at $549,000. The layout looks a little funky, but at least the price is lower than the 2004 sale price of $590,000.